The once-paired king and queen of primetime shine in their own new shows, among other Cosmo scoops this week. Tonight, the most famous local heroine is set to guard the night skies once again, as Darna returns to GMA-7’s primetime programming, replacing Zorro, who galloped away last Friday. This time, Marian Rivera, the acknowledged primetime queen of GMA-7, will wear the red and gold two-piece and high-heeled boots designed by Pepsi Herrera. She has a new set of villains too, the original ones in the comic book created by the late Mars Ravelo: Babaeng Ahas (Iwa Moto), Babaeng Impakta (Nadine Samonte), Babaeng Linta (Maggie Wilson), Babaeng Tuod (Francine Prieto), and Babaeng Lawin (Ehra Madrigal). No doubt, Darna has the best chance of overpowering its competition, and by this we mean ABS-CBN’s May Bukas Pa. Can Darna save the whole primetime block of GMA, which is now losing to the very strong lineup of ABS-CBN? We will update you on this next time. 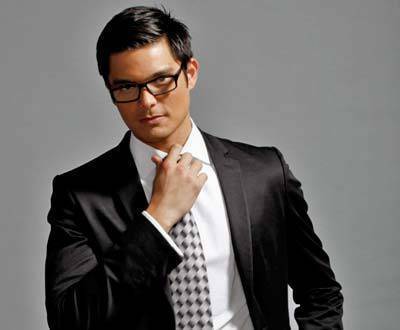 A few months ago, GMA-7 announced that Dingdong Dantes will play the role of Cholo in the local remake of Stairway To Heaven, the weepy Korean soap that became a hit here. The show finally had its story conference last Friday, with Joyce Bernal and Andoy Ranay directing. Dingdong and the Stairway team took quite a long time looking for actresses who will portray Cholo’s two leading ladies, Jodi and Eunice. The bosses of GMA's entertainment department reportedly decided, after a vote, to pick Rhian Ramos to play Jodi and Glaiza de Castro for Eunice. Dingdong and Rhian will be paired for the first time, and we find it an interesting combination. Rhian has always been associated with Richard Gutierrez, with whom she did three primetime soaps, while Dingdong has always been connected to Marian Rivera, with whom he had three soaps. 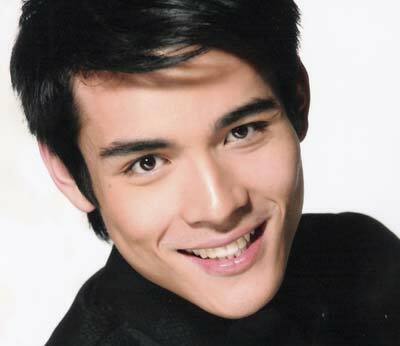 UE varsity player turned actor Xian Lim was into modeling before he became a Star Magic talent. With his looks, this Bench endorser got an easy ticket to showbiz. He may be new to the limelight, but Xian still found himself launched as ABS-CBN’s newest leading man in its upcoming show, Katorse. He knows that with being given such a project comes big pressure for a newcomer like him, but the whole team of Katorse, including co-star Erich Gonzales, is supportive of him. This is a great birthday gift for Xian, who celebrated his 20th birthday last July 12. Born and raised an only child in the States, his father, Godofredo Lim, also played for the Red Warriors in the mid-eighties, during the last time UE tasted victory in the UAAP. Set to open on Wednesday as part of Star Cinema’s anniversary presentation is the love story And I Love You So. The movie boasts of a series of firsts and comebacks, with director Lauren Dyogi returning to the helm after concentrating on several ABS-CBN reality shows and Ms. Coney Reyes doing her own big screen comeback via this film. 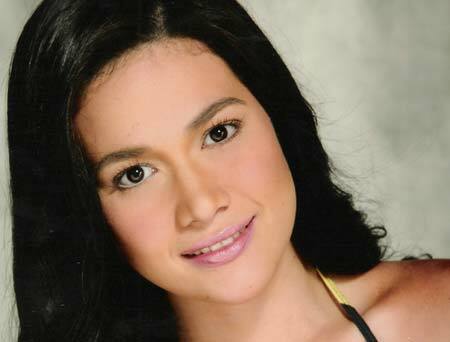 The most important milestone of all has to do with Bea doing her first movie without John Lloyd Cruz. In all of Bea’s past movies and TV shows, she had Lloydie for a screen partner, that’s why she feels this is a make or break thing for her, if the audience can accept her going solo. Playing her leading men this time are two of ABS-CBN’s other prominent boys, Sam Milby and Derek Ramsey. Not a bad replacement for Lloydie for sure—she gets two, to boot. 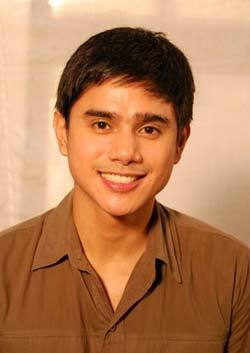 GMA-7 is becoming home to so many male models, both from the ramp and commercial rosters. First there was first Pinoy Survivor JC Tiuseco, who was a baller and model before he joined the first season of the reality show. Then in Survivor’s Palau season, two models will outwit, outplay, and outlast the rest of the castaways: Marvin Keifer and half-Jap Suzuki Sadatsugu. Meanwhile, in the show Dear Friend's new umbrella episode that premiered last Sunday, Karibal (starring Jennylyn Mercado and Jean Garcia with Wendell Ramos), yet another male ramp-walker was introduced: Lemuel Pelayo (in photo). Incidentally, Lemuel was supposed to have been introduced in another Dear Friend episode, Bakasyunista, starring best friends Mark Herras and Rainier Castillo. Chriz Cayzer had to replace him in this one, as he was then busy with the Mossimo bikini contest, which Jiro Shikarawa won. The latter is reportedly in the next season of ABS-CBN’s Pinoy Big Brother. Blame it on Twilight: In October, Pinoy audience will see around half a dozen movies that involve vampires, witches, werewolves, and everything else in between. The first two, which will both open on October 28, are GMA Films’ Patient X starring Richard Gutierrez and Regal Films’ Aswang Ang Nanay Ko. Four more movies with the same theme will compete in the December Metro Manila Film Festival, two of which are from Regal Films: Nieves and Shake Rattle Roll XI. GMA Films and Imus Production will field Carlo J. Caparas’ Ang Panday with Senator Bong Revilla Jr. fighting the night creatures, while M-Zet, Octo-Arts, and APT Entertainment will pit Vic Sotto’s Ang Darling Kong Aswang against all these other entries. Are you wondering if an aswang primetime soap will come next? Who knows, it just might. You read it here first.